After her Bollywood debut in Heropanti, model-turned-actor Kriti Sanon seems to be in demand. Not only has she signed on to play opposite Shahid Kapoor in Farzi, to be directed by Raj and DK (Go, Goa, Gone), and bagged Singh is Bling with Akshay Kumar, shea��s also hotly tipped for the main role in Mohit Suria��s adaptation of Chetan Bhagata��s latest novel, Half Girlfriend and Housefull 3. Thata��s quite an impressive resume for someone whose first movie (in Telugu) released only earlier this year. 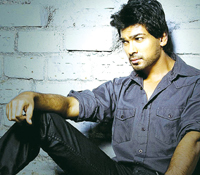 Having leaned on friend Salman Khan to help launch his film, Nikhil Dwivedi is hoping some of the superstara��s veneer would have rubbed off on to Tamanchey. Co-starring Richa Chadda, this is the twisted love story of Babu (Chadda) and Munna (Dwivedi). The promos suggest a a�?true romancea�� meets a�?Bonnie and Clydea��, with a backdrop of gangsters, crime and violence. Babu and Munna battle the odds in order to come closer to each other in spite of Babua��s boyfriend being the villain in the story. Those in the know say the film has struggled with clear creative direction, which becomes evident when one sees the credits. There are, oddly, two director creditsa��Navneet Behal as visual director and Suryaveer Singh Bhullar as creative director. What I do like is the sub-head for the film: a�?Pyar Mein Dil Pe Maar De Golia��, the title of a song originally composed by R D Burman. It has been remixed for this film by Krsna and sung by Bappi Lahiri. Dwivedi will continue his interest in the underworld with his next role, in a biopic of gangster Abu Salem. After Being Cyrus and Finding Fanny, two quirky comedies that explored two colourful communities a��the Parsis and Goans respectivelya��director Homi Adajania seems all set to helm the Bollywood remake of the hit romantic drama, The Fault In Our Stars. Based on the bestselling young adult novel of the same name, by John Green, the story is about a teenage girl with cancer and her romance with a spirited young man. The film is pitch perfect for a Bollywood remake with oodles of romance, melodrama and humour, too. 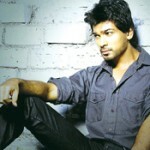 One will have to wait and see what shape it takes in the hands of the unpredictable Adajania. The film is rumoured to feature the fresh pairing of Deepika Padukone and Varun Dhawan in roles originally played by Shailene Woodley and Ansel Elgort, respectively. After the two monster releases of last week and the four-day weekend, this week sees a clutter of small films hoping to sneak in shows between Bang Bang and Haider. Among them are Tamanchey, Jigariyaa and Ekkees Topon Ki Salaami. A small but earnest cricket documentary is also trying to slip in to the art house circuit. 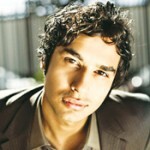 The Big Bang Theory star Kunal Nayyar (who plays scientist Rajesh Koothrapalli in the award-winning American comedy), has voiced and produced Cricket World Cup 2011: Beyond All Boundaries. Directed by Sushrat Jain, the film tells the stories of three ordinary Indians who share a passion for cricketa��a penniless fan, a 12-year old cricket prodigy and a girl cricketer from Mumbaia��s slums. The makers followed the subjects for almost half a year, resulting in a film that has played at festivals around the world. Nayyar feels this documentary a�?fully captures Indiaa��s passion for cricket. Ita��s a big, fun film and if youa��re a cricket fan and you want to relive our once-in-a-lifetime 2011 World Cup victory, you cannot miss this film.a�?